Taking a break from her WWI fiction (Shoulder the Sky, 2004, etc. 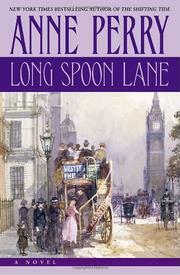 ), Perry exposes the political machinations behind a Victorian-era Patriot Act. Thomas Pitt, whose troublesome independence has bounced him from Bow Street to the Special Branch, is too late to prevent a pair of bombings in Myrdle Street or save the life of Magnus Landsborough, an aristocrat anarchist shot in the back. The police claim Magnus must have been killed by his friends; the anarchists they arrest indignantly respond that only the police wanted him dead. But the real story lies elsewhere. Several well-known antiterrorists led by influential newspaper editor (and Magnus’s uncle) Edward Denoon, a firebrand M.P. named Tanqueray, and Supt. Wetron, secret chief of the radical republican Inner Circle, are pushing a parliamentary bill to arm the police and give them extraordinary powers to search and question citizens. The possibility that the force behind the latest anarchist outrage may be the highly placed Wetron, out to consolidate his own power, forces Pitt to accommodations with some strange bedfellows—notably his old nemesis Sir Charles Voisey, Wetron’s predecessor as head of the Inner Circle (Southampton Row, 201, etc. )—and allows Perry to give her hero and his allies some stirring speeches against excessive government powers before the crime is brought home, rather anticlimactically, to the usual domestic intrigue. The period setting allows both some thoughtful debate on a difficult problem and a solution more reassuring than anything you’ll find in tomorrow’s papers.